Last month we went to an outdoor winter festival where I had a warm coffee beverage with chocolate and coffee liquors. It was a welcome treat on a cold afternoon and it got me thinking about the many variations that could be used with my grandmother's coffee liquor recipe. Yesterday might have been the first day of Spring but we just had another big snowstorm in New England. 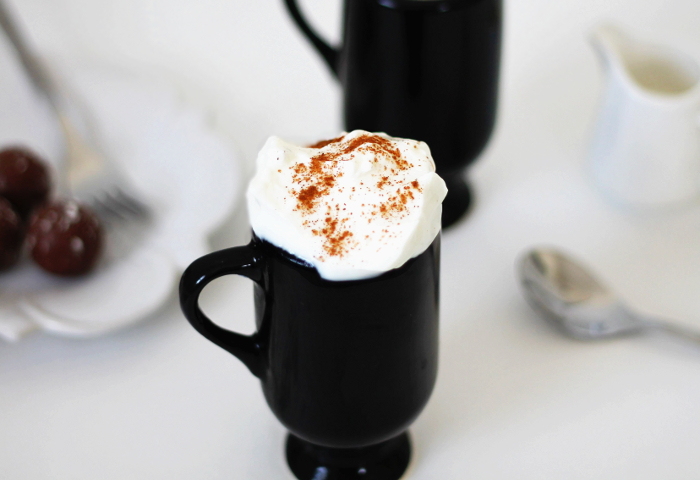 We're still covered in snow so this nice warm coffee recipe doesn't sound so bad right now. I bet this would be a great iced beverage in the warmer weather too! Combine ingredients, mix well and garnish with whipped cream and sprinkled cinnamon.